So, I have my hands full with these two little boys and then I read these lovely, I mean, Lovely, did you get that, with the capital L? So, I read these Lovely ideas for homeschooling and I just laugh. It's not that the actual idea is so funny really, but implementing it in our casa? Absurd. One of those ideas that I scoffed about was Poetry Tea Time ala Brave Writer. So, basically, this crazy person (sorry Julie!) thought I should set my table, with an actual table cloth, put out a pretty centerpiece, brew tea, and serve it to my little crazies in BREAKABLE tea cups???? Then sit around and read poetry together. Would they even drink hot tea?? The problem was, I love so many ideas of Julie Bogart's, the Brave Writer herself. She really seems to understand children and writing. We implement a lot of the Brave Writer lifestyle but I just couldn't get on board with this Poetry Tea Time. Then I found the Read Aloud Revival Podcast and so many of the people in that community rave about Poetry Tea Time. It sounded fun, even though I still knew that my boys would NOT be on board. So I tried to reframe it. Maybe we could do Poetry Picnics? I could probably swing that with my guys. So, as the school year approached O saw my plans for a Poetry Picnic and questioned why we weren't doing a Tea Time. Apparently as I was listening to the podcasts while doing dishes he was listening while building legos. I had no idea! So, I decided to try this Poetry Tea Time thing out. Now, one thing you should know by now is that when I do something I tend to go all in and I like to follow instructions. So, for our first official Poetry Tea Time I ordered special tea in a fun Dinosaur tin and ordered a new teapot. 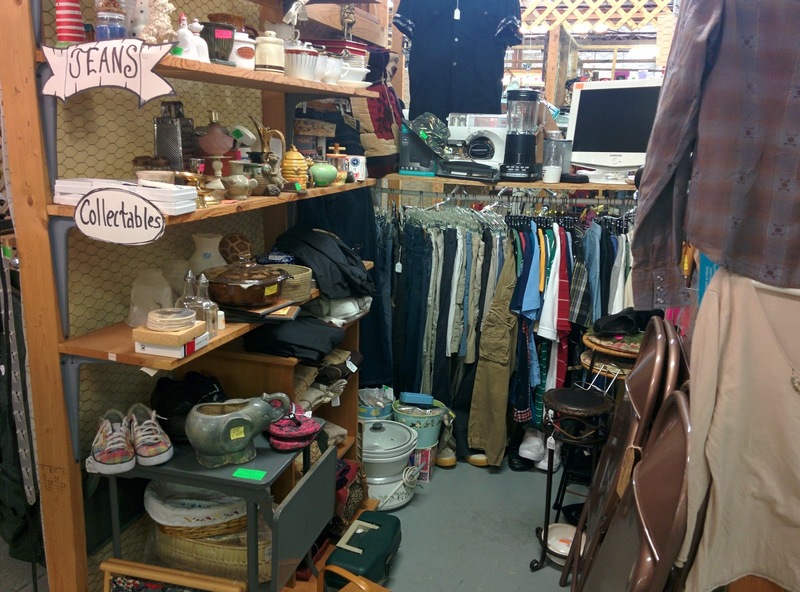 Then we set out as a family to the local flea markets to buy some new-to-us cups and saucers. See, I have china, but I'm still a bit concerned about that BREAKABLE aspect we discussed earlier. 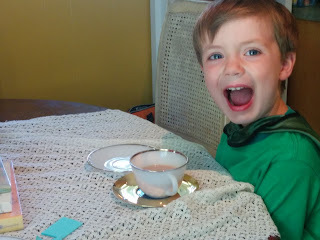 The boys wanted something special so we purchased white gilded tea cups. I'm telling you, it was an ordeal. Then as the cookies are baking and the tea is steeping, brewing, whatever, I go to set the table. Then I realize that I don't have a single tablecloth! I know that sounds atrocious. How can we not own a tablecloth?? But it's true. We just don't use one and have never seen the point in purchasing one. That one fact nearly derailed our entire Tea Time. I kid you not. It was ridiculous. The directions said I should set the table with a tablecloth!! Oh no! But somehow I pulled it together and grabbed some lacy fabric to throw on the table, set it, and served. Crisis diverted. It was wonderful. We sat down with a large stack of poetry books from both home and library and dove right in. The boys loved it. Every minute of it. Especially the cookies. 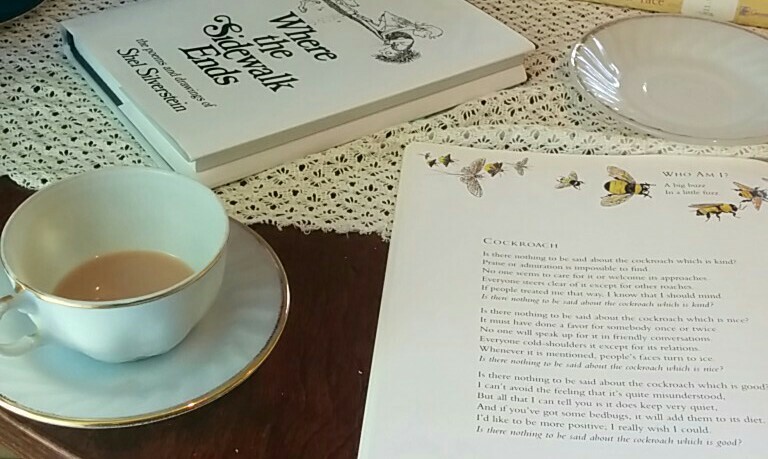 But they also surprised me and loved the tea, the special table, and the poetry. It felt special. We laughed and laughed and stayed around the table for nearly an hour, choosing poems and reading them aloud to each other. Sometimes I read, sometimes O did. C, being 4 and not able to read yet, would just pick poems by picture and then have us read them for him. It was everything that Julie Bogart had said, even though I have boys and I was sure it wouldn't be a good fit for us. Lesson learned, and I'm sorry Julie! At the end of the day Poetry Tea Time was their favorite part! We had found a way to slow down, enjoy the beautiful, and savor the way that these masters of word play had fun with words. We found a way to make memories and not just cram more facts into their sweet little noggins. Now, to be completely honest I did have each boy choose their favorite poem to memorize but they were happy to do so because the poems are such fun. But the memorization is not necessary. Just enjoy. And just in case you are thinking that I have crossed over to the mushy side, I just want to share one final picture of what Poetry Tea Time looks like with my boys. Hehe. At first, it looks like such a Lovely picture, but look closer. Do you notice the title of that poem? That's right. It's Cockroach! Perfect. Your such a wonderful mother and educator. Im so happy as Nana to see my grandSons enjoying the fun things that alot of people would consider soft or girly. they will make wonderful smart husbands to very lucky girls someday. You're so sweet. I'm glad that I get the chance to enjoy these times with them. It's fun. And I don't want to think about them being husbands!!!! Ah, thank you! But I've heard enough from Kim to safely say you don't need any help from me!!! It seems like you have enough creativity to put me to shame! I do like the themed days though. Maybe a themed tea time will be in our near future!